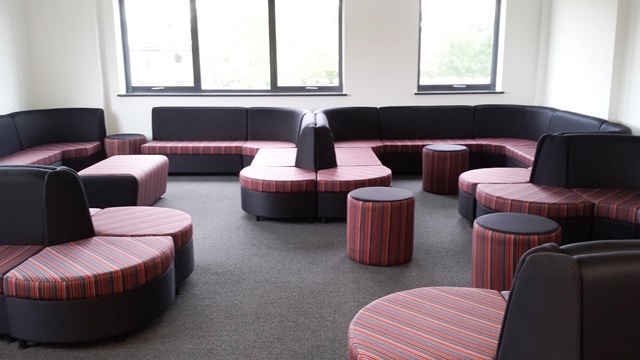 Requirements: Harts of Maidstone were asked to tender for this Central London Hospital waiting area by a member of KCFG (Kent Construction Focus Group) who were project managers for this site. All seating was to be within the specified guidelines. Wipe clean, anti microbial fabric which reduces the spread of MRSA, E-coli and other similar bacteria was used throughout all waiting areas. 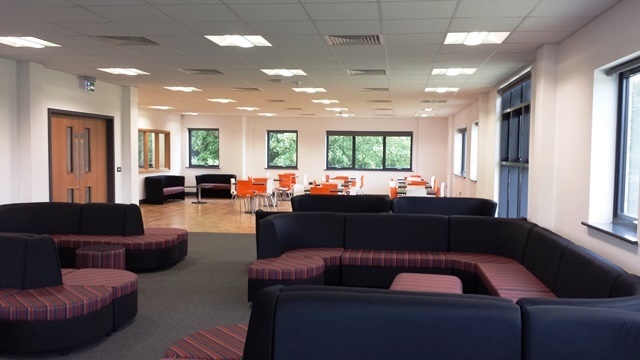 Requirements: The New 6th Form Area needed a functional and comfortable, but welcoming area for its students to be able to eat and relax in. 41 Modular Sofas in shapes rectangular, open & closed corners. Client Background – Farrer Barnes is an accountancy, executive and HR recruitment expert with a wide range of blue-chip and SME clients and a presence throughout Kent, Sussex and the South East. Further Requests- Both a professional and timeless design was required. Weekend installation so as not to disrupt their busy and thriving busines. Client Background – The Thanet Earth site is home to three vast greenhouses. Inside them they grow tomatoes, peppers and cucumbers; their crops destined for the shelves of some of Britain's biggest retailers. Each greenhouse is a power station too, generating electricity for the National Grid. They keep their plants warm by making use of the waste heat from their cutting edge Combined Heat & Power technology which also provides them with the extra CO2 their plants need to grow to their potential. This means that their produce doesn't just taste delicious, it has a very low carbon footprint too. Therefore customers receive delicious crops, grown and packed in Kent, from a grower with an excellent environmental record. Further Requests- Furniture to be British where possible and must confirm to all British and/or European Standards and be certified by the FSC. All suppliers must have an environmental policy. ’ Choosing a new supplier is not easy. However it became quite apparent at first meeting that Harts were both knowledgeable and experienced which gave us the confidence to place our trust in them. We were instructed by Manston Airport to create a business lounge where travellers would be able to wait in comfort, yet still be able to work if necessary. Separate areas were required for Reception, Internet access, Lounge and Cafe. Working alongside JBH Refurbishments, we brought all these elements together in one area. Charles Buchanan, CEO of Manston Airport, commented on our development "As Manston Airport develops we are keen to work with Kent based companies who understand our needs and share our passion for quality and service. In JBH and Harts of Maidstone we have found such companies. They understood what we were trying to achieve and delivered to a very tight timescale. The lounge they have conceived and created complements the rest of the growing airport." It has been a pleasure to work closely with JBH Refurbishments once again and we look forward to growing our relationship with Manson Airport in the future. 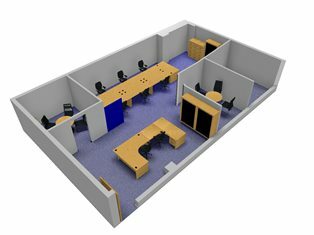 We were instructed to supply furniture which was to be in keeping with the building but still leave it reasonably open plan. Executive offices were created as well as modular meeting rooms to accommodate various styles of collaboration. 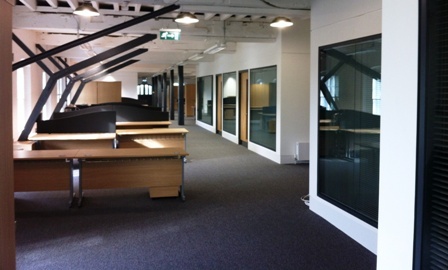 Oak finish was used in both office and meeting areas along with ergonomic task seating. One of The Historic Dockyard Chatham’s earliest buildings, it was erected for the sailmakers. Most of the pillars and floor beams are reused warship timbers, probably from ships of the time of the Dutch Wars. 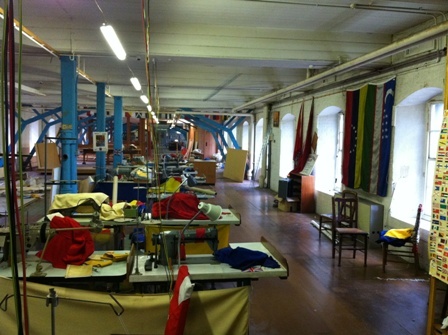 In 1758, forty-five sailmakers were employed in the dockyard. As the Navy’s use of flags increased, a separate female workforce was employed to make them, and they soon became known as the ‘ladies’ of the Sail Loft. Nelson’s famous signal prior to the Battle of Trafalgar in 1805, ‘England expects every man to do his duty’, was sent in signalling-flags most probably made in this building. 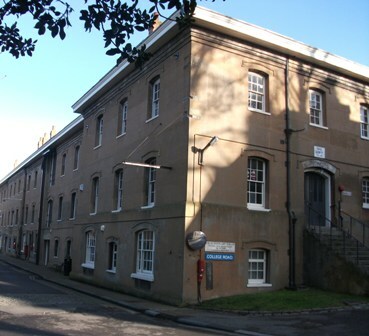 The Sail and Colour Loft represents another remarkable achievement in the long term perseveration of The Historic Dockyard’s buildings, structures and environment by developing appropriate sustainable new uses for their properties. One of our fastest growing ranges is the Modular Training Table Range. In many cases boardrooms are no longer just used for meetings- they are transformed into training, seminar and collaborative spaces. 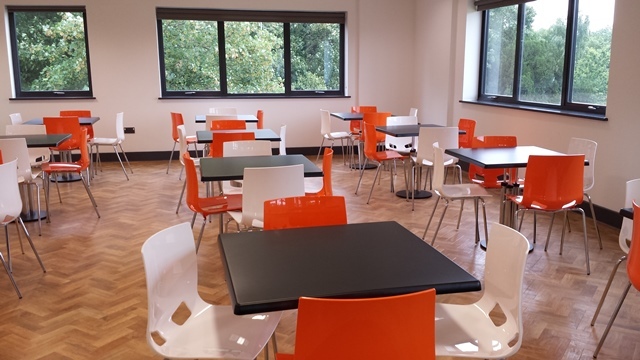 The Modular Training Table range is available in Straight, Semi Circular and Trapezoidal shapes meaning you can have a variety of configurations. The table legs are silver and round rather than traditional square type legs making them have a more executive look. With prices starting from only £80 + vat they are affordable, look great and are hard wearing. They carry a five year manufacturers guarantee and past this, if you decide you would like to replace the tops because of wear & tear or would just like a change of colour- we can supply tops only making this a versatile, value for money range which is hard to beat! 'I would like to thank you and your wonderful team for all your help and advice with the furniture for our new office, based in Cambridge City Centre. From the first contact we had with you your service was professional, efficient, flexible, honest and good value. You were always at the end of the telephone to confirm any details or keeping us up to date with the progress of our orders. Your delivery system was excellent and your team was professional, reliable and very efficient. 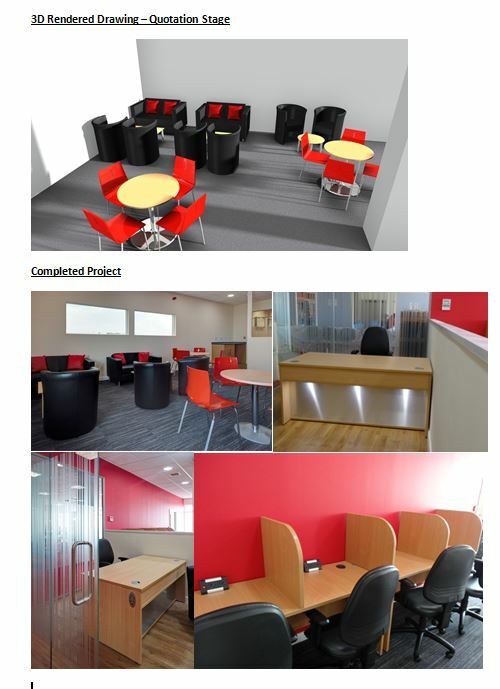 We are really pleased with all our furniture you provided and have received very positive feedback from our clients. I can highly recommend your comprehensive service. Firstly my apologies. 2012 saw the arrival of my son Charles in February and the last year has disappeared in a flash. Although i was back to work from home after 2 weeks, and in work three days a week by 6 weeks, the sheer amount of paperwork meant i was snowed under most of the time and I'm afraid my News Page has suffered. As ever we have introduced many new ranges over the last year and will continue to do so into 2013. In the coming months I aim to bring things up to date...slowly but surely! 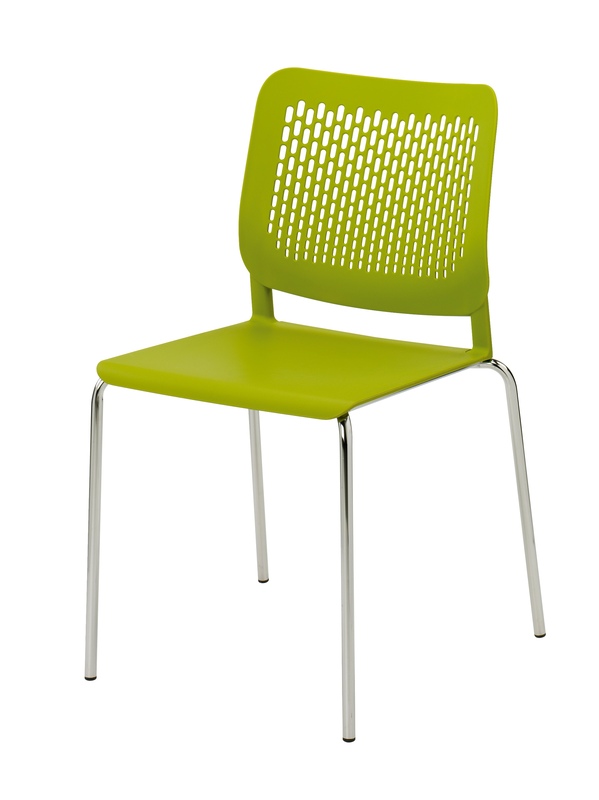 Three great chairs, all available with Synchronised or Independant (Tilt) mechanism for the same affordable price. At least one version should be available to try in our large showroom at all times. * Price correct at time of print. Harts reserve the right to change this price without notice should the manufacturers price increase. This price is for the Standard Size, Black Base & Black Arm Versions of all three chairs and for Synchronised or Independant (Tilt) Mechanisms. At Harts we decided we needed something a little more visual to emphasise some aspects of our business. We contacted Creative Motion –a motion graphics company in Kent to discuss our requirements and within a few days we were providing information to create our video. We supplied pictures and text to get various messages across and Creative Motion did the rest. We are extremely happy with the final result and have received very positive feedback. Please do share your opinions with us- we are always happy to hear your views. With each delivery we provide a customer feedback form which is posted directly back to KCC Trading Standards. Every 6 months we receive the collated feedback so as we can monitor our services. We are pleased once again by the comments we have received and continue to strive to exceed expectations.